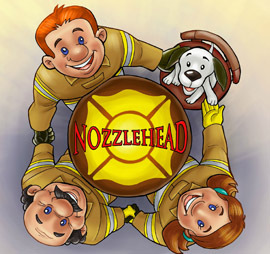 Nozzlehead Books bring firefighters right into your home and your child’s imagination. 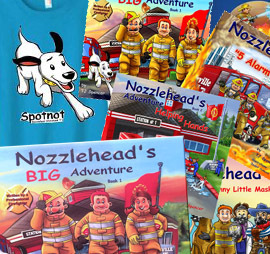 Full of adventure, loveable characters and Hi-Defquality images these books are written to entertain and educate readers about the profession of firefighting. 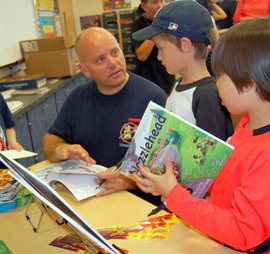 While your child rides along with Nozzlehead and his team as they charge to the next emergency, they are also becoming keenly aware of subtle safety messages, and creating friendships with firefighters as we set the stage in our mission to teach, share and educate kids about safety. 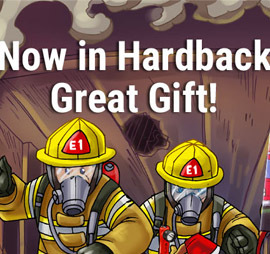 A new adventure awaits your little hero!